New Joiner Offer Project: is seeking to develop a new offer for those who join the armed forces from 2020. 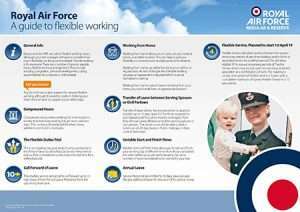 It aims to improve recruitment and retention of future RAF personnel whilst reducing costs in the overall reward package through more efficient delivery of reward. Combined Accommodation Assessment System (CAAS): the new charging system for Service Family Accommodation (SFA), a key element of the MOD New Employment Model Programme. Future Accommodation Model (FAM): The Ministry of Defence is exploring how it can provide armed forces personnel with more choice of housing and meet their aspirations for home ownership. New Employment Model (NEM): aims to provide a revised model for regular and reserve personnel which supports operational capability by providing an offer that meets the needs of the service and the aspirations of the individual by encouraging domestic stability and lifestyle choice whilst supporting mobility. If you have any queries relating to any of the above information in general, and aren’t sure where to go, please contact our team and we will make sure we put you in touch with the right person/team to help you. Email us at enquiries@raf-ff.org.uk or telephone 01780 781650.